Pittsburgh Popcorn and Hoagie pick up is this Thursday, May 18 between 5:00 PM and 6:00 PM in the Jr./Sr. High cafeteria. Please remind your band member to dress for the weather, wear comfortable shoes and to bring water. Sunscreen is also helpful. June 7 from 9:00 AM until Noon. 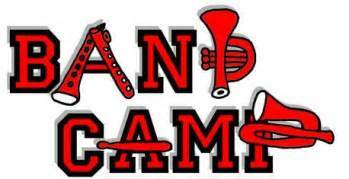 [Parent volunteers may be needed during full band camp weeks. A sign-up sheet will be created once we have more details.]. We want to make sure you get the information you need regarding rehearsals, performances, fundraising, trips, etc.. Please check to make sure we have the correct information for you. You can update your information anytime. If you're still receiving band emails but you no longer have anyone in band, please email us or update your preferences. If you know of a parent who isn't receiving information but would like to, please have them email us at whhsbpo@gmail.com or share this link to Mail Chimp, http://eepurl.com/cHfrML so they can subscribe. If you don't know their email address, email me their name and phone number and a member of the BPO will get in touch with them. You can also share our email and have them reach out to us.